So today, we’re announcing new steps to strengthen oversight of energy markets. Things that we can do administratively, we are doing. And I call on Congress to pass a package of measures to crack down on illegal activity and hold accountable those who manipulate the market for private gain at the expense of millions of working families. And be specific. First, Congress should provide immediate funding to put more cops on the beat to monitor activity in energy markets. This funding would also upgrade technology so that our surveillance and enforcement officers aren’t hamstrung by older and less sophisticated tools than the ones that traders are using. We should strengthen protections for American consumers, not gut them. And these markets have expanded significantly. Now the ability to place blame for rising gasoline prices on Wall Street (or Republicans) is good politics, but its not true. The Center for American Progress report linked to above, chillingly titled “Is Big Oil Rigging Gasoline Prices?” begins by alerting the reader to the fact that the American people, having been polled, believe that Wall Street must be behind the recent rise in gasoline prices. Apparently the average American’s opinion on financial speculation, oligopoly pricing, and their link to gasoline prices is sufficiently meaningful to include in an article not accusing Big Oil of manipulating oil prices, but just putting the question out there. I hastily blogged about that report here, as did the editors of RealClearEnergy. Professional environmentalists are cheering President Obama’s rejection of construction permits for the KeystoneXL Pipeline. They are the only ones cheering, aside from a few NIMBY groups and The New York Times Obama’s always-loyal damage control cohorts. Even The Washington Post voted against Obama in this struggle. The pipeline was a small, but important part of our energy infrastructure and none of the arguments put forth against construction of the KeystoneXL Pipeline are convincing. 1. An initial argument claims that the KeystoneXL Pipeline will somehow not provide energy security for the United States. Coming out of The New York Times of all places, “Number of Green Jobs Fails to Live Up to Promises.” Unsurprisingly, it has the green groups riled up. A study released in July by the non-partisan Brookings Institution found clean-technology jobs accounted for just 2 percent of employment nationwide and only slightly more — 2.2 percent — in Silicon Valley. Rather than adding jobs, the study found, the sector actually lost 492 positions from 2003 to 2010 in the South Bay, where the unemployment rate in June was 10.5 percent. 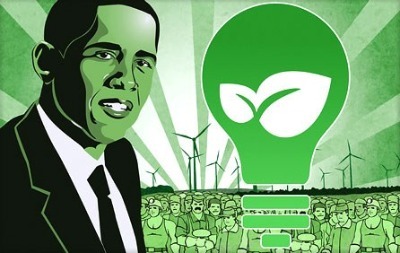 Federal and state efforts to stimulate creation of green jobs have largely failed, government records show. Two years after it was awarded $186 million in federal stimulus money to weatherize drafty homes, California has spent only a little over half that sum and has so far created the equivalent of just 538 full-time jobs in the last quarter, according to the State Department of Community Services and Development. 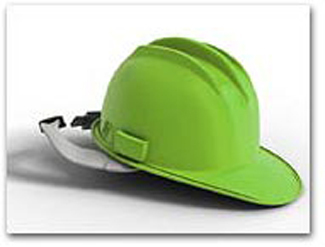 The weatherization program was initially delayed for seven months while the federal Department of Labor determined prevailing wage standards for the industry. Even after that issue was resolved, the program never really caught on as homeowners balked at the upfront costs. Quebec, long an economic basket case kept afloat by Canada’s federal government, has decided to open up its northern interior to resource development. Quebec Premier Jean Charest announced on Monday an ambitious 25-year “Plan Nord” to build highways, airports, and other infrastructure so that the area can be developed. 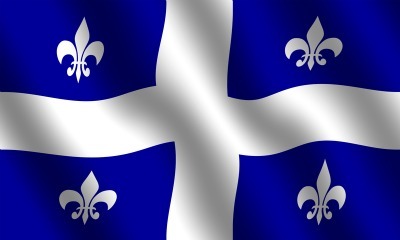 According to Montreal’s Gazette, “Investments in energy development, mining, forestry, transportation, and tourism in the 1.2-million-square-kilometre region – twice the size of France – will create 20,000 jobs a year, generating $162 billion in growth and tax revenues of $14 billion.” Large parts of northern Quebec are heavily forested, and there are major deposits of iron, nickel, gold, platinum, cobalt, zinc, vanadium, and rare earths. The Obama Administration should follow Quebec’s good example. The Department of the Interior and the U. S. Forest Service (an agency of the U. S. Department of Agriculture) control nearly 30% of the land in the United States, most of it in the West and Alaska, plus the Outer Continental Shelf. Federal lands and offshore areas contain colossal reserves of energy and minerals plus the most productive forests in the world. But the Obama Administration is locking up more and more federal lands and offshore areas in order to prevent oil and gas production, hardrock mining, and timber production. And they’re trying to block coal mining in Appalachia by inventing new pollutants to be regulated. 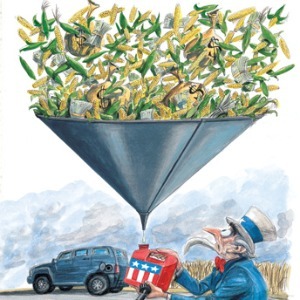 The ethanol industry has found a friend — the US Department of Agriculture. The industry will be less reliant on new legislation to encourage ethanol consumption, thanks to a new USDA announcement that the department will begin funding grants and loan guarantees for gas stations that choose to install new E-85 blender pumps. This was one of the primary legislative goals of the renewable fuels lobbyists. The funding for the program will be provided by the 2008 farm bill which included funding that can be used to promote renewable energy development. The total fund amounts to $70 million in 2011 and another $70 million in 2012. Most gasoline sold in the U.S. is 10% ethanol, but a growing fleet of flexible-fuel vehicles can run on an 85%-ethanol blend, or E85. However, there are fewer pumps available to dispense it, Mr. Vilsack said. In the U.S., only about 2,350 fueling stations out of more than 110,000 offer E85 pumps, according to the USDA. It’s obvious why gasoline retailers are hesitant to install E-85 pumps, adjusting for energy content its not a better deal than gasoline. When really pressed on why the USDA and the Obama administration continue to support corn based ethanol, they point to using it as helping support the fledgling cellulosic ethanol industry, which seems to always be just 5 years away from commercial viability. The House of Representatives this afternoon passed H. R. 910, the Energy Tax Prevention Act, by a vote of 255 to 172. Nineteen Democrats voted Yes. No Republicans voted No. This is a remarkable turnaround from the last Congress when on 26th June 2009 the House voted 219 to 212 to pass the Waxman-Markey cap-and-trade bill. The Energy Tax Prevention Act, sponsored by Rep. Fred. 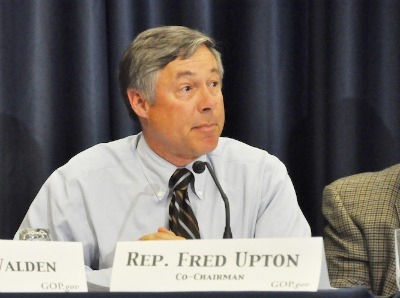 Upton (R-Mich.), the Chairman of the Energy and Commerce Committee, would prohibit the Environmental Protection Agency from using the Clean Air Act to regulate greenhouse gas emissions and thereby put a potentially huge indirect tax on American consumers and businesses. Coal, oil, and natural gas produce carbon dioxide, the principal greenhouse gas, when burned. Those three fuels provide over 80% of the energy used in America. Thus regulating carbon dioxide emissions essentially puts the EPA in charge of running the U. S. economy. 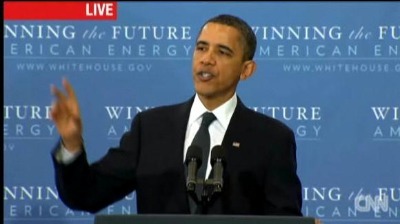 This is just the first step in stopping the Obama Administration’s attempt to raise energy prices . The House bill now heads to the Senate, where yesterday an attempt to add the Energy Tax Prevention Act (introduced in the Senate as S. 482 by Senator James M. Inhofe of Oklahoma) as an amendment to another bill was defeated on a 50-50 vote. Minority Leader Mitch McConnell’s amendment would have required 60 votes to be attached to S. 493. Four Democrats joined 46 Republicans in voting for the amendment–Senators Joe Manchin of West Virginia, Mary Landrieu of Louisiana, Ben Nelson of Nebraska, and Mark Pryor of Arkansas. Senator Susan Collins of Maine was the only Republican to vote No. The strong House vote in favor of the Energy Tax Prevention Act should build new momentum to pass it in the Senate later this year. Of course, the White House has already issued a veto threat, which shows that President Obama is not interested in creating new jobs and restoring prosperity to America. Congress has now rejected cap-and-tax resoundingly, but the President still hopes to achieve through backdoor regulation his goals of skyrocketing electric rates and gasoline prices at the $10 a gallon European level. Unfortunately, we have heard this song many times before. In 1973, President Richard Nixon unveiled “Project Independence” in response to the OPEC oil embargo that was triggered by the Arab-Israeli war. President Jimmy Carter called the need to lessen U.S. dependence on Middle Eastern oil the moral equivalent of war in response to the supply disruptions that followed the Iranian Revolution. 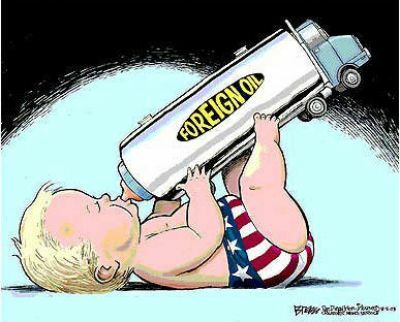 President George Bush Jr. referred to America’s dependence on foreign oil as nothing short of an addiction. Over the past four decades, U.S. presidents have waxed eloquent about the need to reduce the country’s dependence on imported oil. Yet the U.S. economy still relies on imports for more than 50% of the 19 million barrels of oil burned every day. As a result, the U.S. remains as vulnerable to soaring oil prices as it was during the OPEC shocks in the 1970s. Can Obama End Our “Addiction” to Foreign Oil? Now, here’s a source of concern, though. We’ve known about the dangers of our oil dependence for decades. Richard Nixon talked about freeing ourselves from dependence on foreign oil. And every President since that time has talked about freeing ourselves from dependence on foreign oil. Politicians of every stripe have promised energy independence, but that promise has so far gone unmet. I talked about reducing America’s dependence on oil when I was running for President, and I’m proud of the historic progress that we’ve made over the last two years towards that goal, and we’ll talk about that a little bit. But I’ve got to be honest. We’ve run into the same political gridlock, the same inertia that has held us back for decades. That has to change. That has to change. We cannot keep going from shock when gas prices go up to trance when they go back down — we go back to doing the same things we’ve been doing until the next time there’s a price spike, and then we’re shocked again. 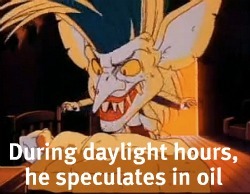 We can’t rush to propose action when gas prices are high and then hit the snooze button when they fall again. We can’t keep on doing that. The United States of America cannot afford to bet our long-term prosperity, our long-term security on a resource that will eventually run out, and even before it runs out will get more and more expensive to extract from the ground. We can’t afford it when the costs to our economy, our country, and our planet are so high. Not when your generation needs us to get this right. It’s time to do what we can to secure our energy future. But here’s the thing – we’ve been down this road before. Remember, it was just three years ago that gas prices topped $4 a gallon. Working folks haven’t forgotten that. It hit a lot of people pretty hard. But it was also the height of political season, so you had a lot of slogans and gimmicks and outraged politicians waving three-point-plans for two-dollar gas – when none of it would really do anything to solve the problem. Imagine that in Washington. The truth is, of course, was that all these gimmicks didn’t make a bit of difference. When gas prices finally fell, it was mostly because the global recession led to less demand for oil. Now that the economy is recovering, demand is back up. Add the turmoil in the Middle East, and it’s not surprising oil prices are higher. And every time the price of a barrel of oil on the world market rises by $10, a gallon of gas goes up by about 25 cents. President Obama is decrying gimmicks and slogans (as he should be), noting their inability to achieve anything, with his newest slogan “Win the Future” in the background. By some estimates, the oil you recently discovered off the shores of Brazil could amount to twice the reserves we have in the United States. We want to work with you. 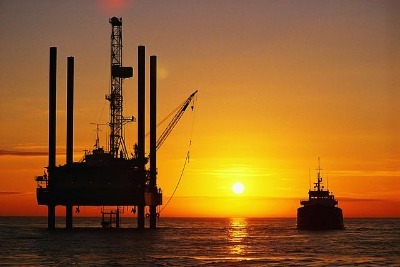 We want to help with technology and support to develop these oil reserves safely, and when you’re ready to start selling, we want to be one of your best customers. At a time when we’ve been reminded how easily instability in other parts of the world can affect the price of oil, the United States could not be happier with the potential for a new, stable source of energy. This is the same President who has spent the last two years doing everything he can to reduce oil production in the United States. Cancelled and delayed exploration leases on federal lands in the Rocky Mountains; the re-institution of the executive moratorium on offshore exploration in the Atlantic, the Pacific, most Alaskan waters, and the eastern Gulf of Mexico; the deepwater permitting moratorium and the de facto moratorium in the western Gulf. The result is that domestic oil production is about to start a steep decline. An article on Red State by Steve Maley summarizes the future effects of the Obama Administration’s war against oil.